Janet Jackson welcomes her first child, a boy named Eissa. After Janet announced in April she was postponing her Unbreakable World Tour in May to focus on “planning” a family with her husband Wissam Al Mana and later showed her growing baby bump early October, she finally put to bed. 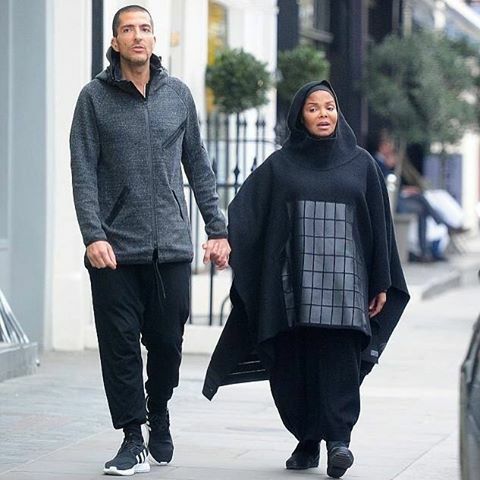 “Janet Jackson and husband Wissam Al Mana are thrilled to welcome their new son Eissa Al Mana into the world,” her rep says in a statement. “Janet had a stress-free healthy delivery and is resting comfortably." Big congrats to her and her husband. But do not forget that Eissa would also be named ‘Micheal Brandon’ in honour of her brothers, Late King of Pop, Micheal Jackson and Marlon’s twin brother, Brandon, who died at birth... the couple made this known earlier in November, read here. It was reported then that Micheal Brandon will be his middle name while his first name and last name will be Muslim names, but we don't know if the couple is still keen to that now.